Job Order Contracting (JOC) is a project delivery method utilized by organizations to get numerous, commonly encountered construction projects done quickly and easily through multi-year contracts. Selection of the JOC contractor by the project owner is based on previous experience and qualifications. 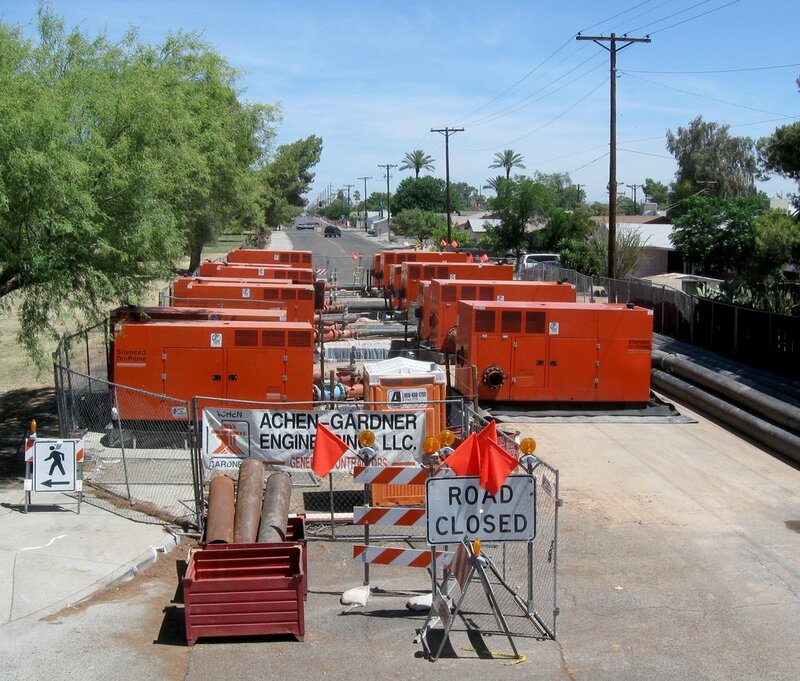 Achen-Gardner Construction has been selected to provide pre-construction and construction services on more than 25 separate JOC projects for 12 different public and private agencies in Arizona. Each of these JOC projects include many unique job orders. In the past five years we have successfully completed more than 400 job orders that involved planned construction projects or emergency repair work. Our firm’s backlog and statewide presence allows us to mobilize quickly and provide effective responses to all of our JOC clients. Our ability to deliver large and small projects on time, under budget, safely, and with the highest quality has given us the reputation for being the go-to wet utility and roadway JOC contractor. We appreciate the level of trust our clients give us when they call on Achen-Gardner Construction to improve infrastructure in their communities and we are always looking for opportunities to build relationships with new clients. Contact us to discuss how we can utilize one of our existing JOC contracts to provide services that meet your needs.